If you are catering for a big Burns Supper or Scottish Food event, the Macsween haggis catering pack is the best choice. Prepare until piping hot by steaming, roasting, frying or grilling. 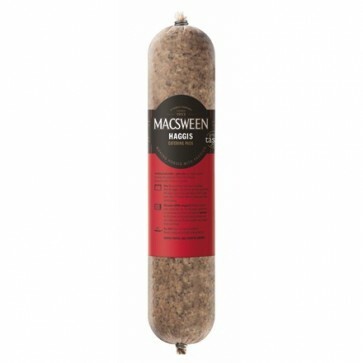 Macsween haggis has suggested cooking times and instructions on the packaging. Here is a step-by-step guide on how to cook the haggis. You might also like to try the Macsween Vegetarian Haggis catering pack - always popular with vegetarians, vegans and haggis lovers.